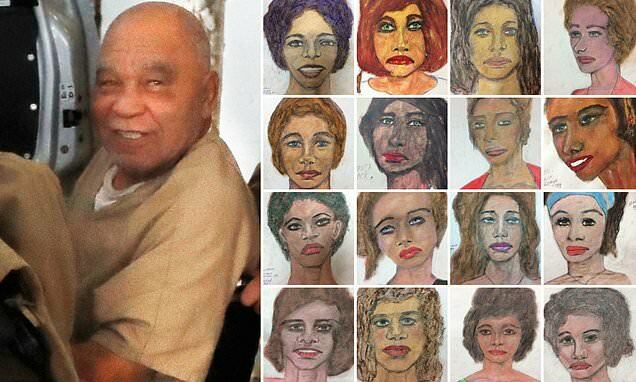 A convicted serial killer, who confessed to police he's murdered more than 90 people over nearly four decades, has started painting pictures of some of his victims - and FBI need help identifying them. Historic DNA evidence saw him sentenced for the murders of three women in 2014, but by November last year Little told authorities he'd actually killed nearly 100 more women. So far, investigators have managed to confirm 36 of his slayings, which span the length of the country from LA to Washington DC. But in a bid to close a litany of long-cold cases, the FBI have started releasing the doodles Little has been painting of his victims in his cell. 16 pictures have so far been released by agency, which have been sketched from memory by Little and showcase an eerie eye for detail. Officers are said to be desperately scouring old case files and photographs to try an identify the Jane Doe's, but matching them up is proving to be a difficult task. The reason, they say, is because Little tended to prey on marginalized members of society who would leave the faintest trail in their wake, when they disappeared.